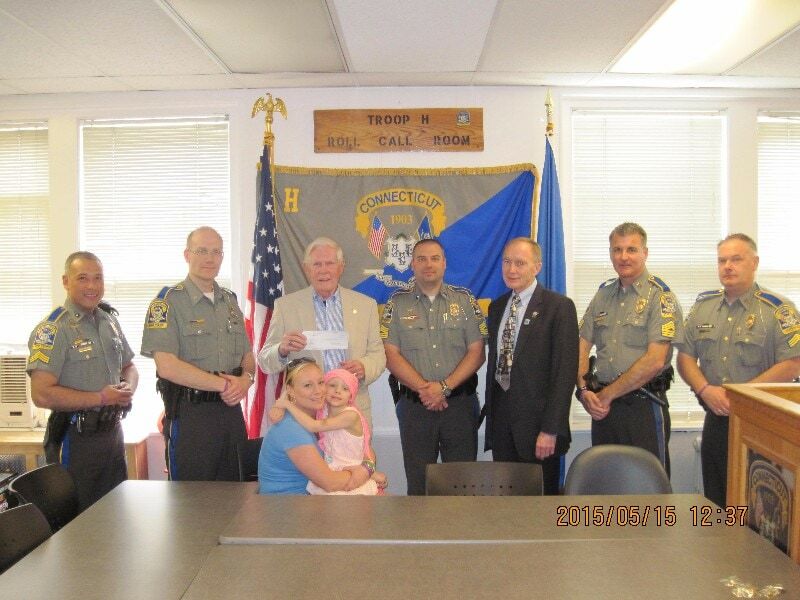 On May 15, 2015, Cops For Kids With Cancer went to Troop H, in Hartford, Conn, and made a donation to the family of Kiley Sullivan, an 8 year old girl from West Hartford, who has Alveolar Rhabdomyosarcoma. In civilian clothes Bob Faherty, Lieut. Det Bill Coulter, Mass State Police and CFKWC Board member and Kiley and her mother Emily.